Bring out your dead for the eighth annual Traverse City Zombie Run, October 29th, 2016. Over the years we have seen zombies from all walks of life, or should I say death. Who will show up this year, perhaps Zombie Trump? The only thing we never saw was someone not having a good time! Right Brain Brewery will be hosting the run as always. The run wouldn't be the same without our friends at the Brain, get it? 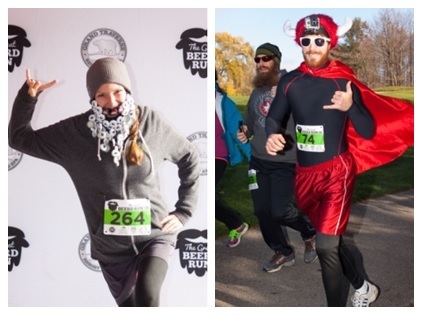 Join us for our third Beerd Run- a 5k fun run designed to celebrate all things Beer and Beard. 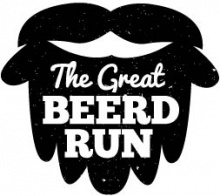 This is an untimed run with on course beer tastings featuring Beards Brewery, Short's Brewery and Right Brain Brewery. Registration Fee includes race entrance, knitted beard beanie, bottle opener style race medal, 3 beer samples, one glass of beer during the post-race party and entrance into post-race party. Prizes will be awarded for the First Place Male and Female as well as for Best Natural Beard and Best Assisted Beard. Visit thegreatbeerdrun.com for more information. The 9th Annual Up North Media Traverse City Turkey Trot for Charities has been a family favorite for the past nine years. We start Thanksgiving day off right with two different race distances; a 5K and a 5 mile, to promote healthy lifestyles as well as give back to local charities. 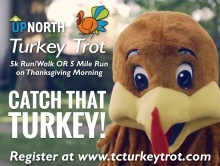 All runners receive a commemorative long-sleeved Turkey Trot t-shirt as well as draw string style back pack loaded with bottled water, coupons and SWAG worth well more than the price of entry! Serving Michigan customers since 1933. With more than 120 EZ Mart convenience store locations, your nearest EZ Mart store is just around the corner. Blarney Castle also offers Propane and Home Heating Oil service as well as Commercial Fuel and Bulk Lubricant sales.